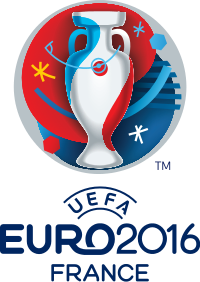 Euro 2016 Predictions & Betting Tips. After leaving Wales behind last time out, will Portugal be able to overcome the tournament hosts France when they meet at Paris for the Euro 2016 final next Sunday? After overcoming Italy on the penalty shootout, will Germany be able to defeat the tournament hosts, France, and claw a place on Sunday’s final? After leaving Belgium behind in the Euro 2016 Quarter-finals, will Wales be able to overcome an unpredictable Portuguese side at Lyon next time out? After struggling to overcome the Republic of Ireland last time out, will France be able to defeat the mighty Iceland team next Sunday at Saint-Denis? After sending Spain home, will Italy be able to overcome the current World Champions Germany when both sides measure forces at Bordeaux next weekend? After leaving Croatia behind last time out, will the inconsistent Portuguese team be able to defeat Poland and advance to the tournament semi-finals next Thursday? After an unexpected defeat against Croatia last time out, will Spain be able to overcome a well organized Italian side when they meet at Saint-Denis next Monday? After finishing at the top of their group, will Hungary be able to pull off another quality performance and overcome Belgium next time out? After a splendid win over the current European champions, Spain, will Croatia be able to cause a major upset to the inconsistent Portuguese team next time out? After being hammered by Belgium last weekend, will Ireland be able to pull off a strong reaction when they meet Italy next time out?